My darling daughter has fallen in love with the character of Lexi Darling from Siren Song (cleaned-up version, of course) and enjoys playing with her wigs and make up and crazy outfits. Today’s outfit is a combination from last year’s dance recital and this year’s recital so it isn’t too crazy. However, she put on false eyelashes for the first time ever and I’m a little bit jealous at how well she did. 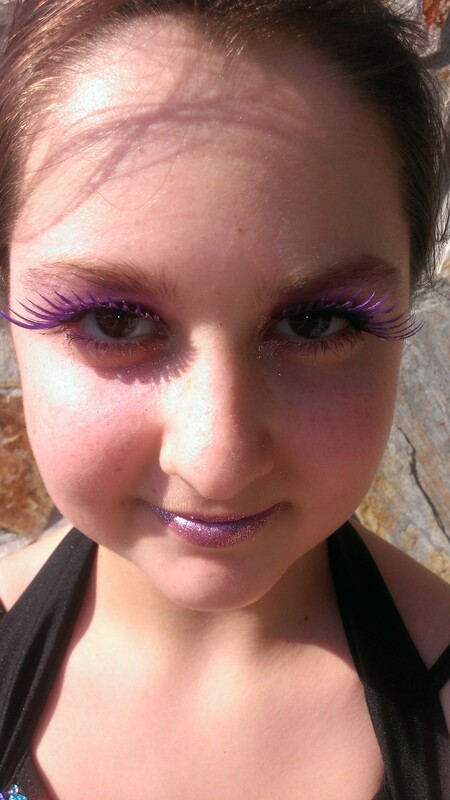 She’s also experimenting with glitter on the lips and the result is pretty impressive and sparkly. 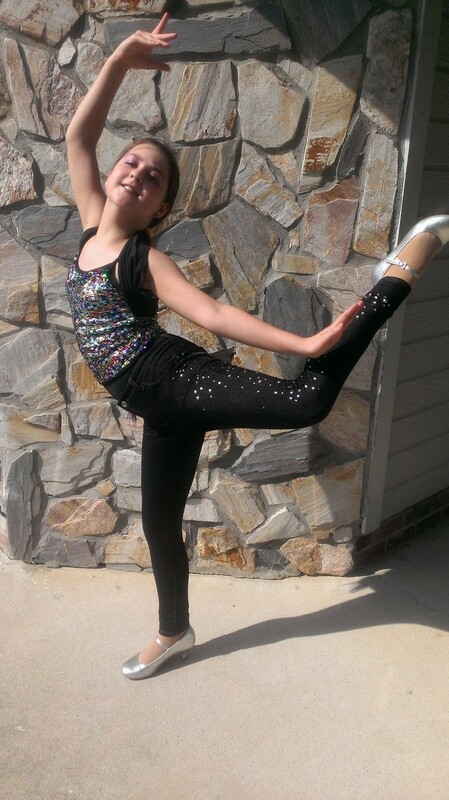 Darling daughter has once again made the dance team for the 2014-2015 season at her studio and she is pretty excited, especially now that she knows what to expect. We love the studio and all of the teachers there! !